The Community Health & Youth Foundation, an affiliate of the PennSuburban Chamber is a reorganization of the former North Penn Chamber of Commerce Foundation. In addition to the name change, the mission has been expanded to include a broader commitment to the community. The Foundation's initiatives include Community Reading Day, health seminars and scholarship support for students to attend the Pennsylvania Free Enterprise Week (PFEW). 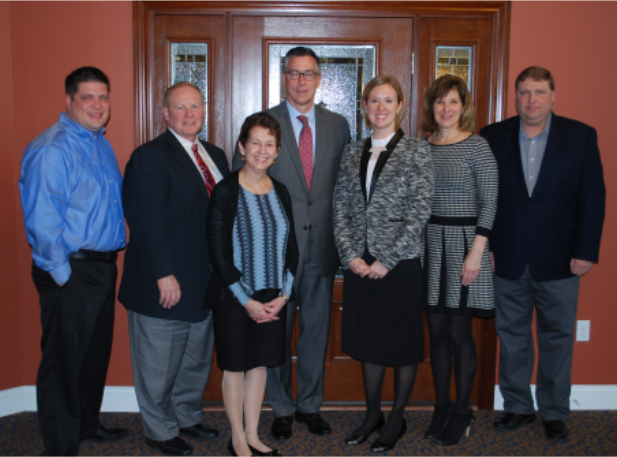 Pictured above: Sean Snyder, Paul Nye, Katherine McCarter, Mark Himsworth, Alexa Sullivan, Pamela Kelly, Rob Morrin. Not Pictured: April Donahue, Jayne Blackledge, Lon Seitz.